The Invincible class was a class of light aircraft carrier operated by the Royal Navy. The Invincible class was a class of light aircraft carrier operated by the Royal Navy. Three ships were constructed, HMS Invincible, HMS Illustrious and HMS Ark Royal. In the last of the series, the history of these Invincible aicraft carriers is examined - from the 1980s to the present day. 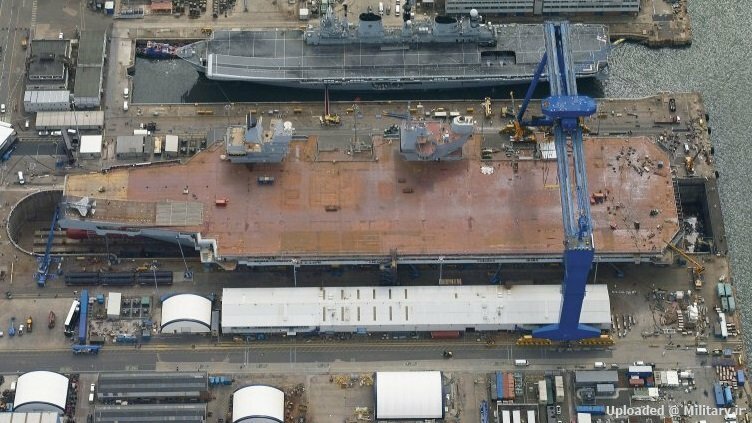 Illustrious (top) sits alongside Queen Elizabeth at Rosyth in 2014, showing the difference in size between the Invincible and Queen Elizabeth Class.